printable resource packet to continue making prints after the workshop. 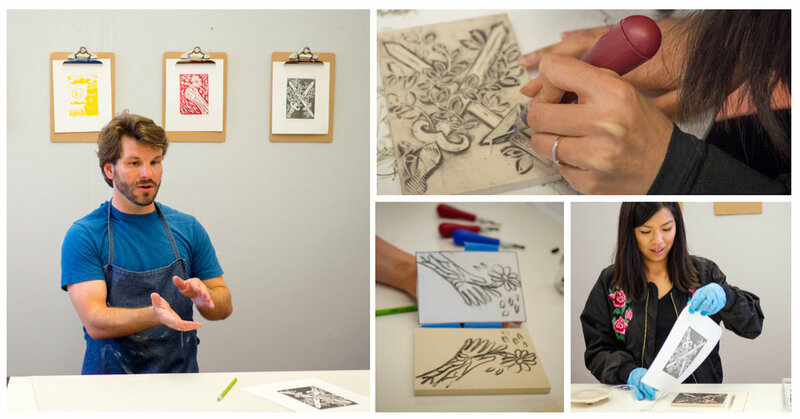 Register for this printmaking workshop at The Foster with artist Charles Coates. We’ll examine the symbolism of the Zuni fetish souvenirs in Tony Foster’s Sacred Places Journey, then we’ll make our own fetishes to share using the communal process of printmaking. You’ll learn idea generation, image design, carving, and printing techniques. Through trading prints, each participant will take home their own fine-art portfolio of artwork. Creators of all levels are welcome in this workshop. Please reach out to charles@blockpaperprint.com with any questions.